Service mesh is a powerful abstraction that's become increasingly popular to deliver microservices and modern applications. In a service mesh, the service mesh data plane, with service proxies like Envoy, moves the traffic around and the service mesh control plane provides policy, configuration, and intelligence to these service proxies. Traffic Director is GCP's fully managed traffic control plane for service mesh. With Traffic Director, easily deploy global load balancing across clusters and VM instances in multiple regions, offload health checking from service proxies, and configure sophisticated traffic control policies. Traffic Director uses open xDSv2 APIs to communicate with the service proxies in the data plane, which ensures that you are not locked into a proprietary interface. As a Google-managed service, Traffic Director comes with a production-grade 99.99% SLA: if there is a problem, our operators get paged, not yours. You don't have to worry about deploying and managing the control plane, which means your people can focus on your business. Use Traffic Director to easily deploy everything from simple load balancing to advanced features like request routing and percentage-based traffic splitting. Keep your service up and running by deploying it across multiple regions as VMs or containers and use Traffic Director to deliver global load balancing with automatic cross-region overflow and failover. Traffic Director is built to seamlessly handle growth in your deployments. As the number of services grows, Traffic Director seamlessly scales to manage all of them, even for large installations. Traffic Director works for both VM-based (Compute Engine) and containerized applications (Google Kubernetes Engine or self-managed Kubernetes) and can be incrementally introduced for your services. Traffic Director provides a GCP-managed traffic management control plane for xDSv2-compliant open service proxies like Envoy. Deploy your Traffic Director-managed VM service instances using the managed instance groups and your container instances using network endpoint groups. With Traffic Director, deploy your service instances in multiple regions for resiliency and reach while requiring only a single service IP. This means, for instance, that your GKE service can be in multiple clusters, with each cluster in a different region. If the instances closest to the user go down or are overloaded, traffic is seamlessly directed to another available instance. Traffic Director provides GCP-delivered health checking at scale. This offloads health checking from Envoy/service proxies to Google’s resilient systems, allowing you to scale health checks for deployments of all sizes. Plus, your instances themselves are not overwhelmed from mesh-sized health checks. Traffic Director supports advanced request routing features like traffic splitting, enabling use cases like canarying, url rewrites/redirects, fault injection, traffic mirroring, and advanced routing capabilities based on various header values, including cookies. Traffic Director also supports many advanced traffic policies with the inclusion of many load-balancing schemes, circuit breaking, and backend outlier detections. For access to the alpha, please sign up here. 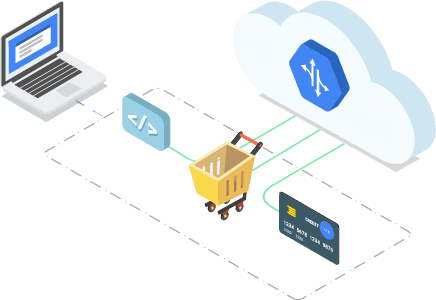 Traffic Director gives you demand-driven autoscaling, allowing you to pay only for what you use, while scaling up quickly and intelligently without having to reach your cloud provider and without any pre-warming requirements. Pricing will become effective at GA. Please visit our documentation page for more details. Traffic Director makes it easier to bring the benefits of Envoy and service mesh to production environments. With Envoy providing a universal data plane, Traffic Director delivers a fully managed traffic control plane with an open interface to avoid lock-in. Traffic Director’s SLA, global load balancing, and rich traffic control help reduce the toil of traffic management for both enterprise and cloud-native end-users.